Dock-makers, hear ye! Your iPod/iPhone/iWhatever base station doesn't have to look like some boring pair of speakers! In fact, it doesn't have to look like anything worldly at all. The crazy-looking YanTouch Black Diamond transforms tunes into ambient light. 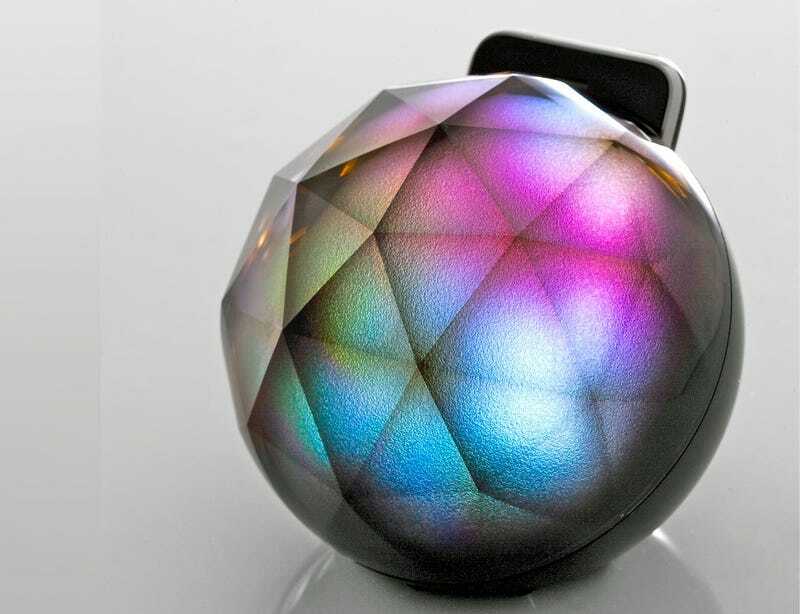 The Black Diamond, available soon for roughly $80, starts as an Epcot-esque black sphere that charges over USB. Pair it with the accompanying apps and it turns into a glowing geodesic mood lamp which, yes, I do believe your room could use.